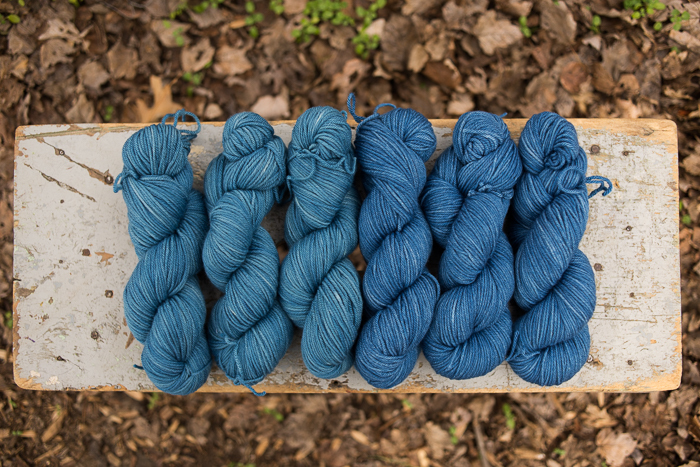 Last month, at my brother’s wedding in New Mexico, I overheard my dad sharing with friends about the yarn dyeing I have been doing, that I often use plants that I collect to make dyes, and that people (you guys!) buy my yarn. Hearing him talking about what I have been doing, sounding *I think* a little proud of me, made me feel really good. It’s not that he isn’t proud of me for other things, but his words gave me a little boost of confidence. It just made me happy. You know how it feels when your parents praise you? It still feels good when you’re an adult, right? (Reminds me that I need to do a better job of regularly praising my kids-especially my older ones!) Later in the week, we stopped at a drug store so that my dad could visit his friend, the pharmacist. (We were in the town he used to live in). 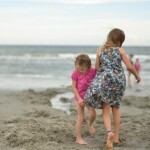 I stayed in the car with the girls, because he was only going to be a few minutes. 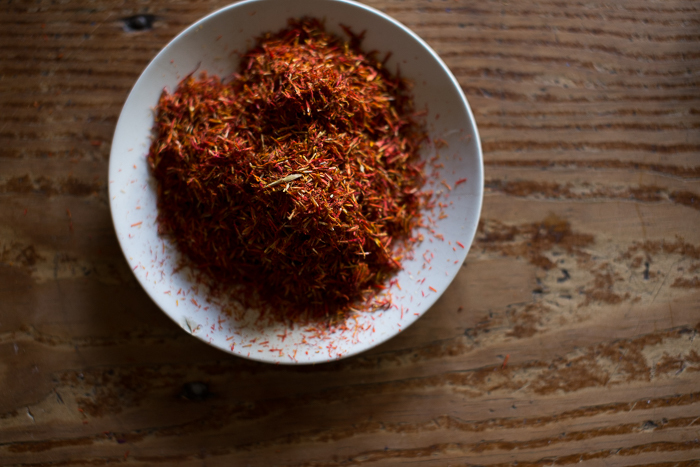 When he came back, he handed me a couple small packets of Mexican safflower that he had purchased inside. “I don’t know if you can do anything with this, ” he said. I wasn’t sure if I could either, but I thanked him, and tucked it away in my bag, happy that he saw it and thought of me and my yarn dyeing. It turned out that those two little packets created enough lovely color that I was able to dye two skeins of yarn. 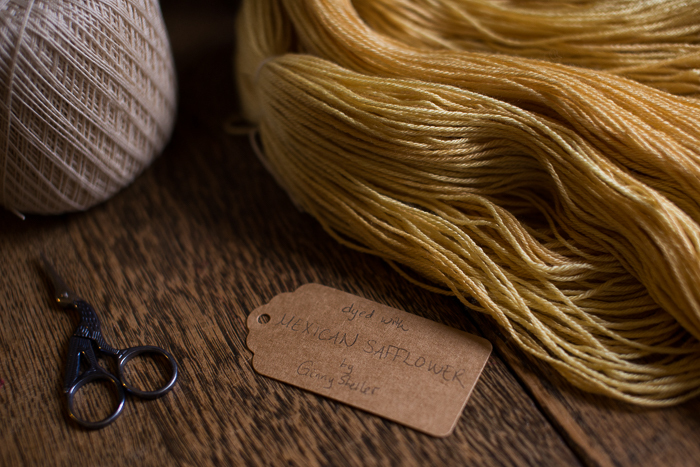 I think these two skeins are the prettiest yellows, ever (though tickseed sunflower is a very close second!) 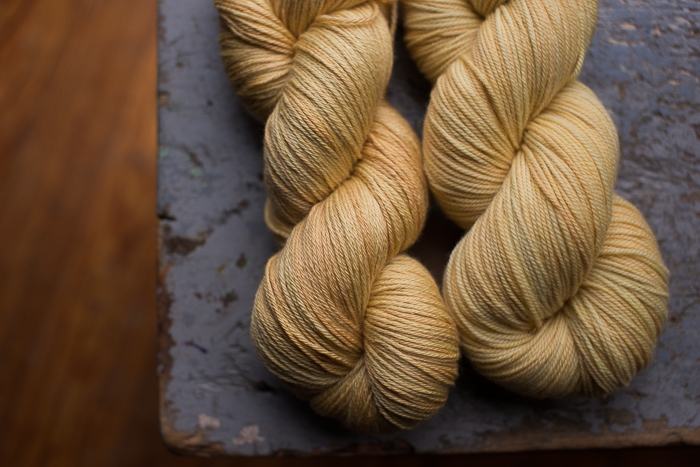 These skeins are yellow with orange-ish yellow variegation. They are gorgeous! I pulled together a small last minute shop update, and have these two skeins listed along with some others that I have been working on in recent weeks (will be up at 10 a.m. EST). I needed to create some blues for a friend recently, and spent a day dyeing with indigo, which resulted in some lovely blues! 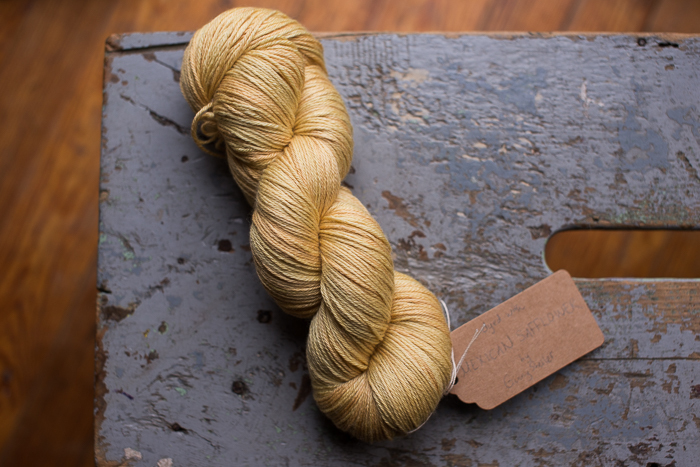 You’ll find quite a few of them, along with some walnut and pokeberry dyed skeins. Oh, and there is some tickseed sunflower too! I keep going to your store, but there is nothing there, am I on the wrong page? I’m sorry, Jordin! I need to update this post. 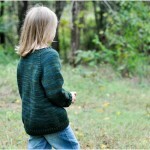 The yarn is all sold out. More next year, I hope! That mexican safflower color is amazing!! Congrats on selling out so quickly each and every time! Your yarn is so lovely Ginny. I also wanted to thank you for your gift guide. It had some really great ideas on it! How beautiful! I would love to try something like this in the future! That is indeed a lovely yellow! 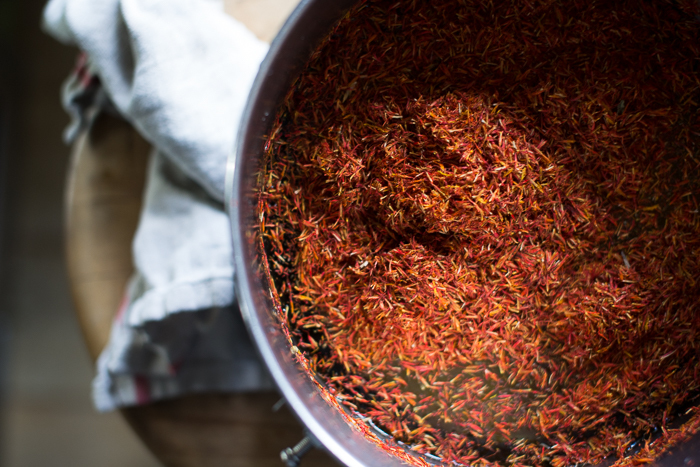 I recently saw safflowers for the first time, before I only knew it in relation to being a finished product “safflower oil”. I’m not surprised that they made such delightfully colored yarn. 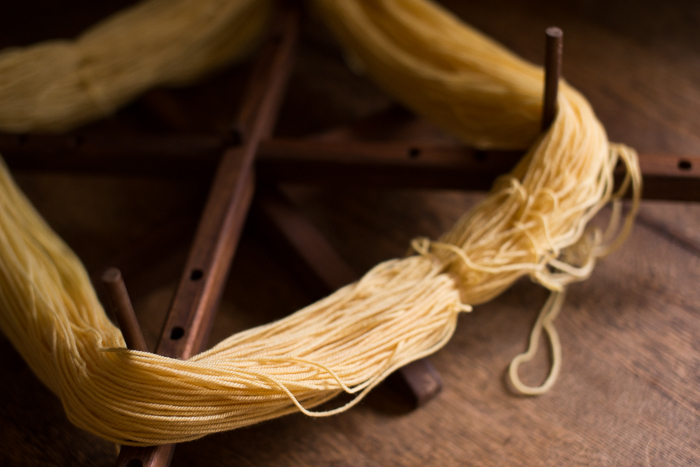 I love watching your explorations in dyeing…..
happy December day to all of yours. I’m so glad I stopped by your blog early this morning. I was able to get some tickseed sunflower yarn in a thinner gauge and I just love the tickseed sunflower yarn I purchased a while back. You are so meticulous. It’s beautiful yarn. Yes, I do wish I had an unlimited yarn budget. Hope you are feeling much better now and your laundry is getting caught up. That was so sweet of your dad to think of you! Wow, you must sell out in minutes!! I was able to purchase some indigo and another skein of yarn. Wow. I love my yellow I bought the last go round. Very pretty yarn! 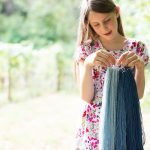 My oldest daughter and I are learning to spin on a drop spindle and then hope to try dying it- maybe this summer. I too am interested to know where you get your yarn. 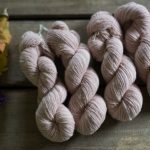 I’m not a knitter (yet) and just wanted to say your plant dyed yarns are stunning! So beautiful. 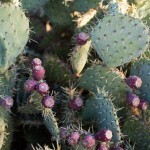 I have loved reading about how you make them. Merry Christmas! Those are so pretty. 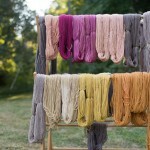 I will have to try that with the wool I dye to hook rugs with. Gorgeous! I wish I had unlimited yarn buying funds! Where do you get the yarn that you dye, Ginny? You are a great colorist! really nice! such beautiful colours!!! So lovely. You are very talented!